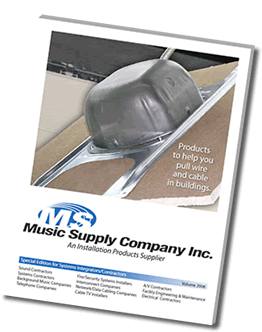 Complies with the mechanical and acoustical requirements of U.L. 1480(UUMW) and U.L. 2043 test standard. Made of noncorrosive steel for strength and durability. Complete installation instructions with all purchases. SST-1 works with 2'x4', 2'x2', and 4'x4' lay-in type ceilings. When used with the 4' ceiling tile, use the Extender-Rails, Model ER-2/48 (see accessories page). SST-1/18 works with the 18' (20') x 60' lay in ceilings. 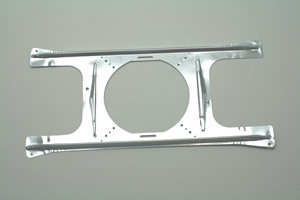 SE-1 Speaker Enclosure will work with the SST-1, SST-4, and SST-1/18 Support Trusses. Philips-head screws (#8x1.25" white) are supplied. Screws up to 3' are available. AT-4 Adapt-O-Tabs are available to mount speaker to SST-1 or SST-1/18 without using grille. This allows the speaker to be placed directly on the ceiling tile. In most cases sufficient sound will penetrate the ceiling tile for good low-level sound distribution. See page 16 of our catalog for a list of baffles (Grilles) that the SST-1 and SE-1 will work with.